We define Corporate Open Source (COS) as applying the precepts and methodologies prevalent in the open source development community for creating industrial-strength software projects in a corporation for internal use. It may seem that open source style development - using informal processes, voluntary assignment to tasks, and having few financial incentives - may not be a good match for commercial environments. Our ongoing work, however, demonstrates that under the right circumstances, corporations can benefit from open source development techniques. We present two approaches to managing COS projects, and expand in detail on one of them. Our results indicate that open source approaches require significant adaptation to succeed in commercial settings. In particular, they require substantial support from business divisions within a corporation to successfully leverage the shared asset. 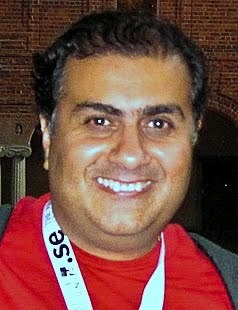 Vijay Gurbani is a Distinguished Member of Technical Staff in the Computer Systems and Security Research group in the Enabling Computing Technologies Domain at Bell Labs, Alcatel-Lucent. He also holds an appointment as an adjunct faculty member in the Computer Science Department at the Illinois Institute of Technology. Since 1998, he has been working on multimedia signaling protocols, especially Session Initiation Protocol (SIP). He is working on systems-related security areas for SIP, in particular, and Voice-over-IP (VoIP) in general. He is also performing research into peer-to-peer (p2p) networks and distributed hash tables, especially in the context of supporting VoIP as an application and studying the resultant effect on the network when the peer selection process yields local peers first. He is fairly active in the very well known and respected Internet Engineering Task Force (or IETF), especially in the SIP-related working groups. Besides being an author and contributor, he also co-chairs two working groups: ALTO and CUSS. The Application Layer Traffic Optimization (or ALTO) working group is designing a protocol that will provide p2p applications with information to perform better-than-random initial peer selection. The Call Control UUI Services for SIP (or CUSS) working group is defining an extension to SIP for transporting user-to-user information for applications using SIP to establish multimedia sessions.